Calgarians of all ages can benefit from optometric services. Avoiding long waits in an emergency room is just one of the many reasons to visit your optometrist for eye emergencies and other conditions considered medically necessary exams and procedures. 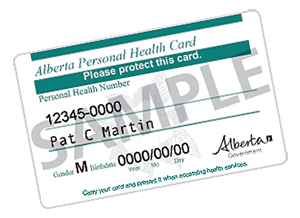 Medically necessary exams are covered for all ages with an Alberta Health card. Regular annual eye examinations (ex: to check or update a glasses/contacts prescription) are not considered to be Medically Necessary, and as such are not covered by Alberta Health except for select groups (children 0-18 and seniors 65+). Certain provinces (i.e. Quebec) may reimburse the patient for out-of-province medically necessary vision expenses. However patients from out of province must pay for services up front and may apply for reimbursement to their home province.